Daveswordsofwisdom.com: Keep going - it's worth it. Keep going - it's worth it. Keep Going. 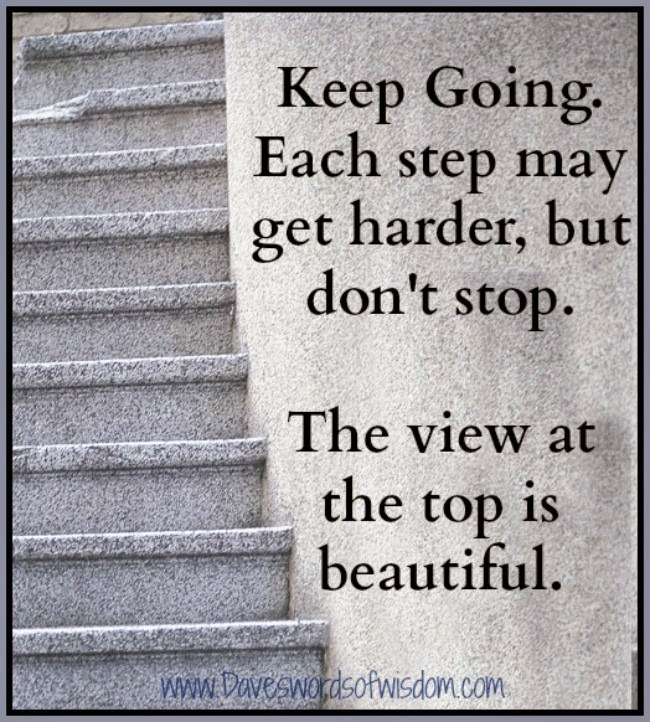 Each step may get harder, but don't stop. The view at the top is beautiful.